The greatest asset of any company is its people. Our on-staff design team is led by Mark Egge, a very talented graphic designer who enjoys project management and client service. In addition to his extensive free lance work, while working for 3M for 10 years, Mark conceived, designed and illustrated custom signs for demanding clientele. With lots of install experience, Rick Sanders ensures our signs are well installed so they convey our customers' messages for years to come. Business operations are handled by Deb Brandt, whose background as an editor for several books and magazines, work on an archeological dig in Israel, and caring for her family provide her with the array of skills needed to keep our operations together. Handling our finances and accounting, Caroline Nelson, brings a wonderful perspective from her previous experience of handling millions of dollars of investments for her employer. With a passion for developing business leadership as his other job, our Market Development leader is Brad Olson. He sniffs out otherwise obscure market opportunities for us. Our company is led by Steve Finch, who provides the vision and daily operating leadership for Signs4Success. 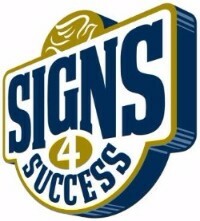 Steve is the owner and president of Signs4Success. He has an extensive background in corporate management, yet he really enjoys the personal service and personal touch he is able to provide as the owner of a small business. He is an Air Force veteran who flew C-130s and a service disabled veteran. Steve's Christian faith informs everything he does as a business owner, citizen, husband, father, and grandfather. With a degree is in Graphic Design and Illustration, Mark has over 25 years of experience conceiving, designing, illustrating and producing a wide array of graphics for individuals and corporate organizations. While creating logos, convential and digital illustrations Mark also enjoyed brand and art direction as well as project management tasks. His decade long experience with 3M gave his an outstanding ability to combine materials with concepts to meet the needs of demanding customers. Give Mark a call to get your Graphics needs filled. 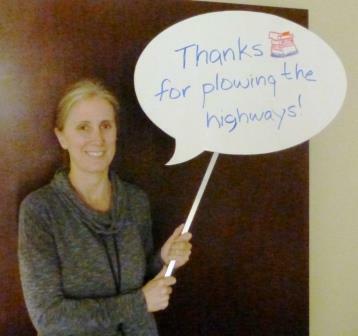 Deb takes care of many office functions at Signs4Success and helps to keep things running smoothly. Often the first point of contact for our customers, she plays a vital role in facilitating communication with clients Communication is a key strength for her, and she has several years of experience as an editor for various types of publications. She invoices clients and is a point person for client questions. 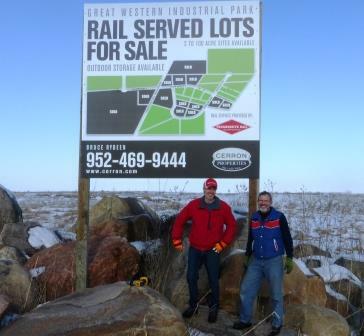 Mark & Rick complete a design, produce and intall project.